These are the gorgeous community parks that provide the scenic backdrop for our hikes. on Lakeshore Blvd West and Brown's Line. This park offers a beach, an amazing wilderness trail and a waterfall! 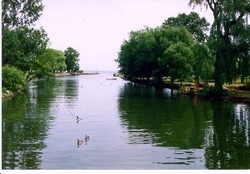 Right at the corner of Lakeshore Blvd West and Kipling Avenue in Etobicoke, this park is an open field of trails along the shoreline! This park is the backdrop for most of our winter hikes as the trails are maintained, making them enjoyable year round! FREE PARKING: YES - and street parking. 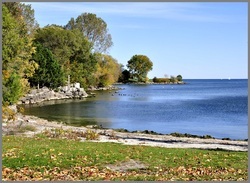 Humber Bay Park East - NEW 2016! Humber Bay Park East is a bit of bustling city and wilderness all in one. With the development of new condos all around, this park has a lot to offer with bike paths, walking trails, a butterfly garden and more! This park offers up some great socialization opportunities!